Furnished, light filled, 7th floor Studio at the President Condo. Totally renovated kitchen w/dishwasher & built-in microwave. Large walk-in closet w/lots of built-ins. Nice view of front of bldg. Wood floors throughout. Bldg w/24hr security at front desk. 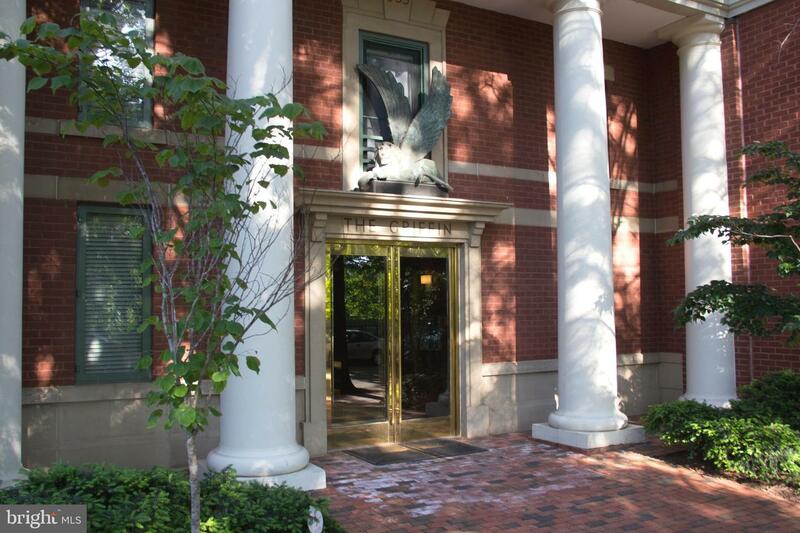 Located in the heart of Foggy Bottom, next to Whole Foods Market. On GW Campus. FB Metro & GW Hospital one blk. All housing vouchers welcome. Listed by Oyingtare Y Youdeowei of Long & Foster Real Estate, Inc. 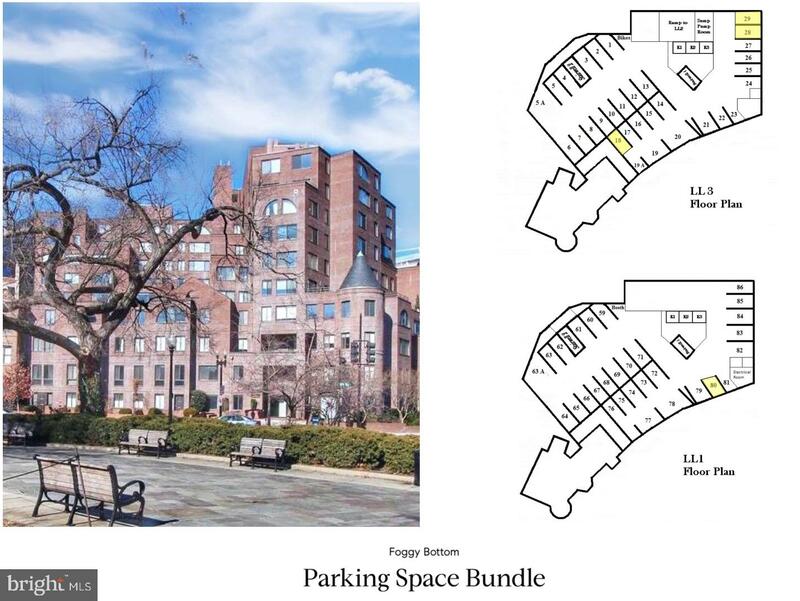 Perfect parking space located at The Griffin Condo in Foggy Bottom. 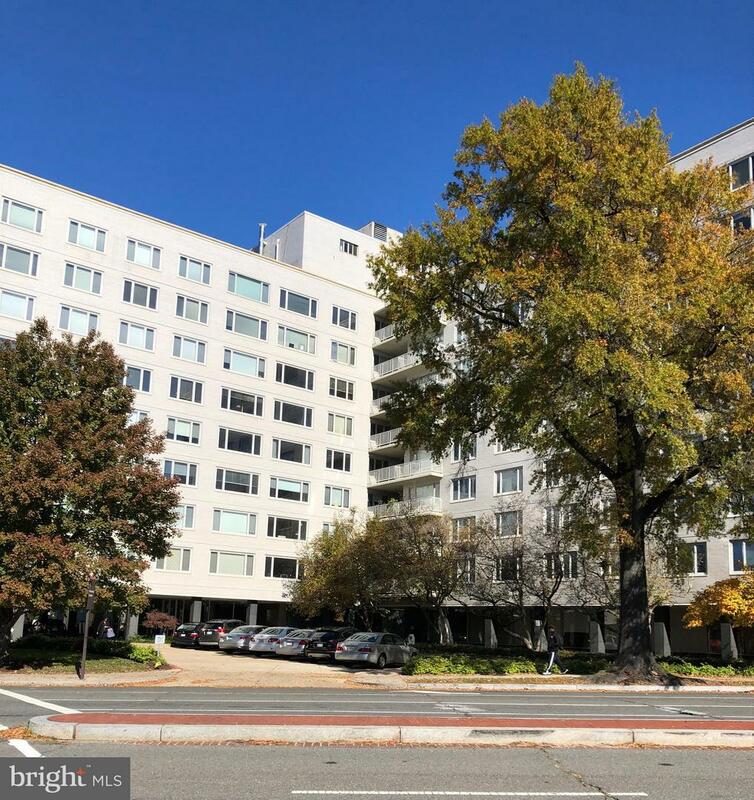 Renovated 1 bedroom/1 bathroom apartment in the Potomac Plaza Terraces. Bright open-concept living with new gleaming wood floors throughout. New, upgraded kitchen with stainless steel appliances, custom wood kitchen cabinets, marble countertops and glass tile backsplash. Spacious living room overlooking oversized balcony. Ample storage throughout including 1 large closet at entry way and 2 closets in the bedroom, one of them being a walk-in closet. Renovated bathroom. Parking spot in secure garage along with additional storage unit in basement. Recently renovated/decorated rooftop terrace with tables, seating, and the perfect view of Georgetown and the National Mall. 24 hour concierge and security, and free guest parking. Co-op fee includes all utilities, maintenance fees and property taxes. Blocks away from Foggy Bottom/GWU metro and from GW medical school and hospital. A renovated, light filled studio with garage parking at the Griffin. Take in the spectacular views from the balcony of this pet friendly unit. Hardwood flooring throughout, large walk-in closet, in-unit washer/dryer. Close to shopping, Foggy-Bottom Metro, and night life. 95 walk score! a must see. Sunny 3rd floor studio condo at Jefferson House. East facing exposure (front of the building)Conveniently located near GW University Hospital, IMF, World Bank, Metro, Whole Foods, and many restaurants. 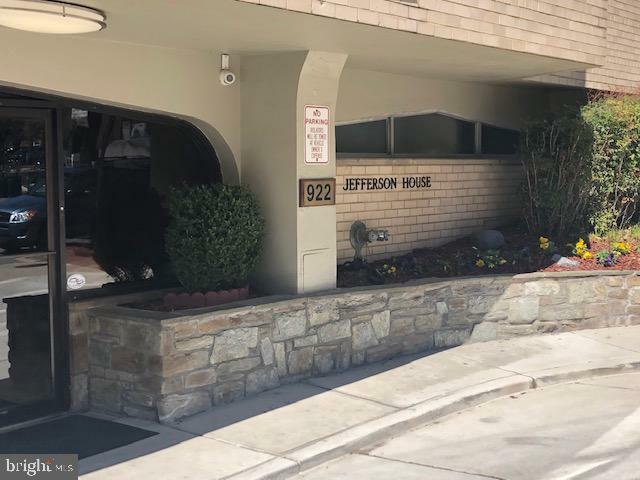 The Jefferson House building has a 24 hour front desk, on site managment, laundry facilities, outdoor pool. Location! Location! Location! 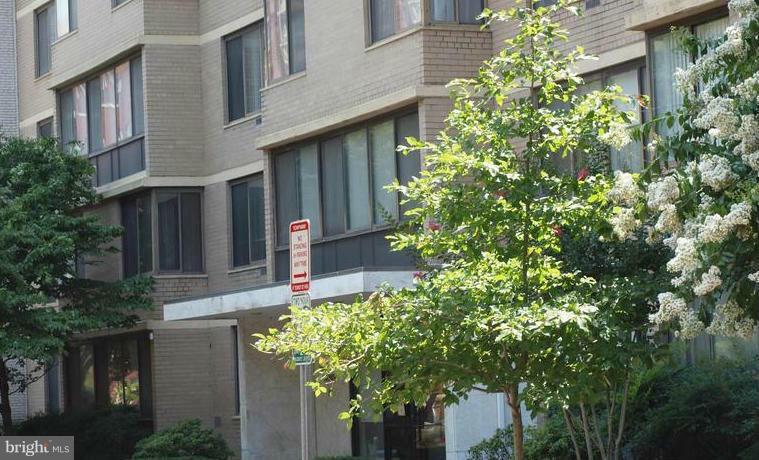 1BR/1BA in Foggy Bottom, secured building with roof deck, exercise room, courtyard and bike room. 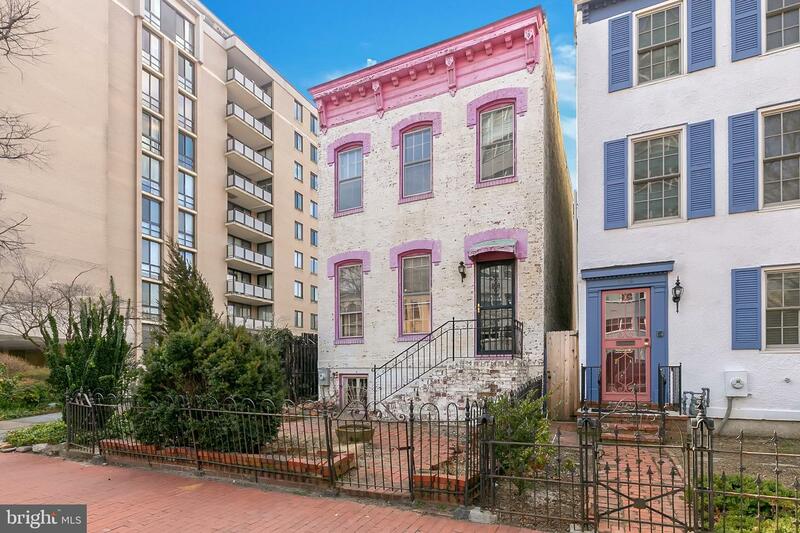 1 block to Trader Joe's, 2 blocks to Georgetown, 3 blocks to Foggy Bottom/ GMU Metro. Convenient to State Dept, World Bank, IMF, PAHO and GWU. Water and gas included, tenants pay electric. 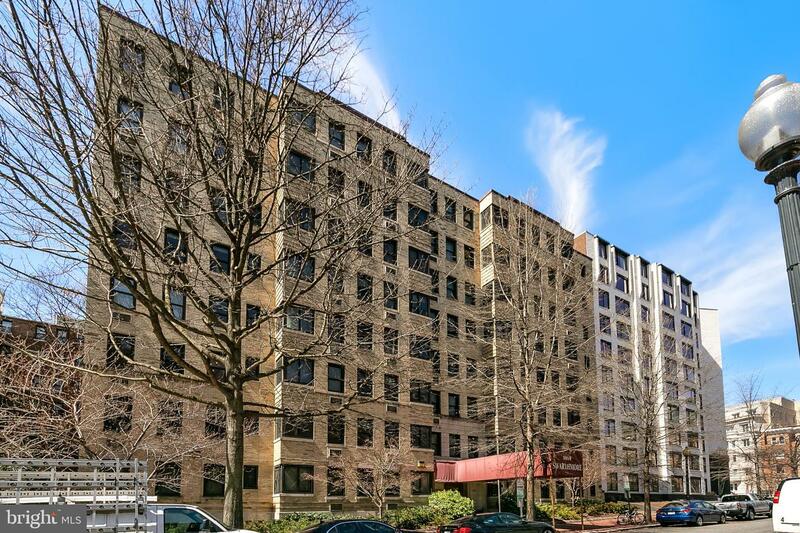 Perfectly situated 1BD/1BA West End condo features wall to wall built in storage, an extra large capacity washer/dryer, walk in closet, newly renovated kitchen with high grade granite and stainless steel appliances. 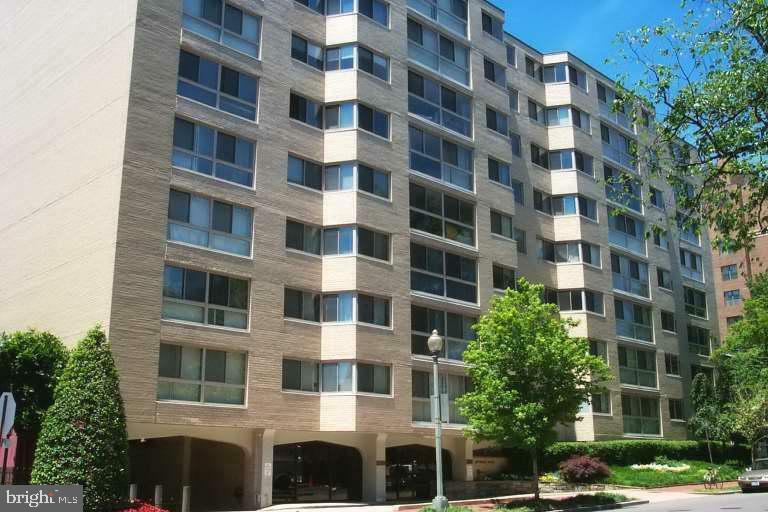 Close to multiple metros, Trader Joe's, + the shops, dining, and entertainment of Foggy Bottom and DuPont Circle! No pets allowed. Convenient describes this stylishly appointed apartment! Recently renovated, this home features hardwood flooring, granite counter tops, stainless steel appliances, and an updated bathroom. 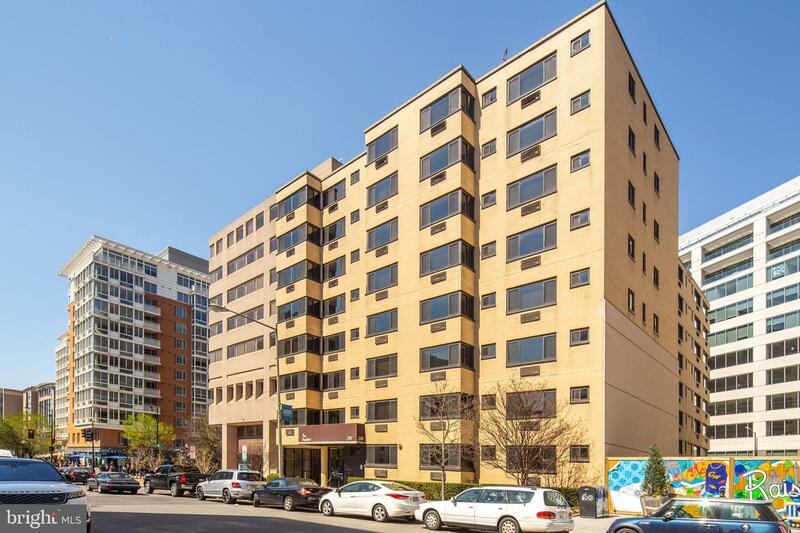 In the heart of Foggy Bottom, this condo home is central to GW's campus, and steps from World bank, IMF, Kennedy Center, The White House/Executive Office Building, Red Cross, and the State Dept. Whole Foods, Trader Joes, and Metro as well as many restaurants are blocks away. 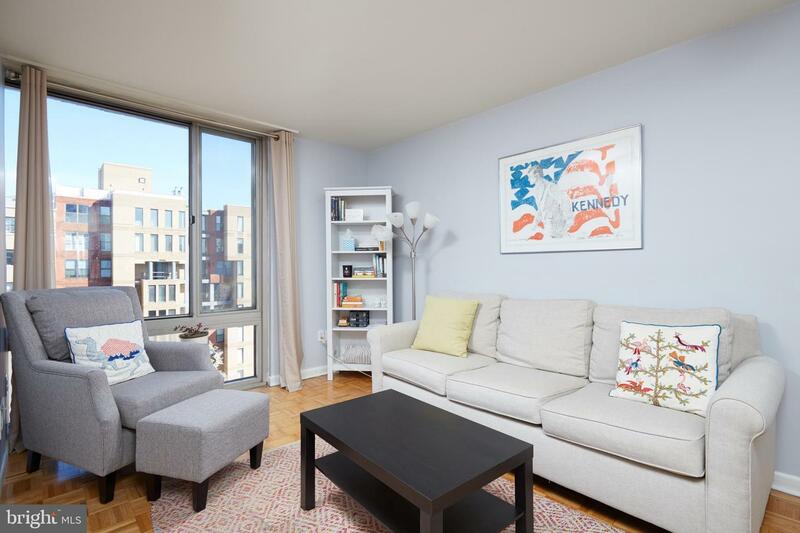 Wonderful studio in the middle of Foggy Bottom! Hardwood floors, crown moldings, retro kitchen with gas stove and microwave. Laundry room at Lobby level. 24 hr front desk. Pool! All utilities included (except WI-FI, cable and phone). 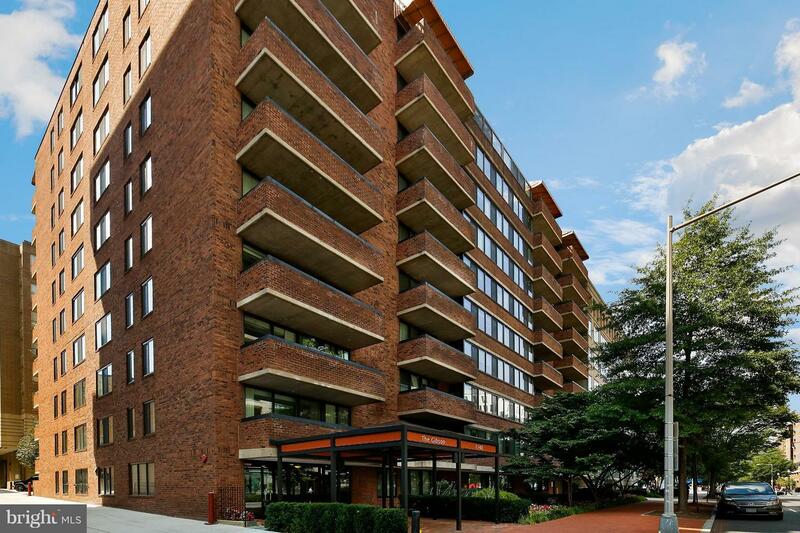 Located a across the street from Foggy Bottom Metro, a few blocks to GW, World Bank, IMF, State Department, Kennedy Center, Georgetown! This studio will be painted as soon as current tenant leaves. Showings have to be until 2:00pm until the 18th of April. This upper floor one bedroom jewel has gleaming hardwood floors, an open floor plan, Great big windows allowing lots of natural light, nice views and overlooking the pool. The building offers 24 hour desk, extra storage, and outdoor swimming pool, and wait for it- COVERED PARKING is included! Not to mention, minutes walking neighborhood restaurants, bars, and other nightlife. 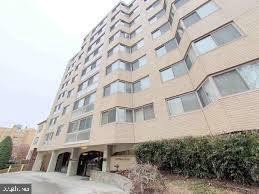 Short commute to GWU and GWUH for student and professionals looking to live close by. 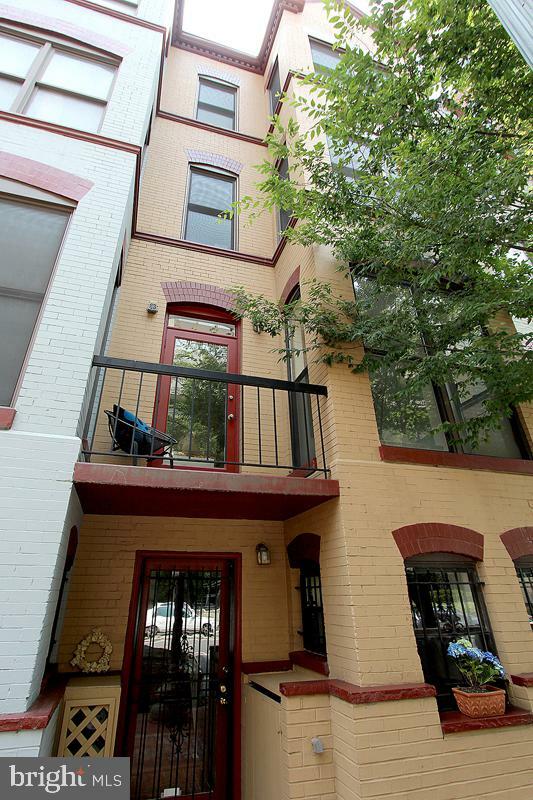 Close to Whole Foods, Trader Joe's & Foggy Bottom Metro Station. All utilities included in condo fee! SHOWINGS STARTING SUNDAY. 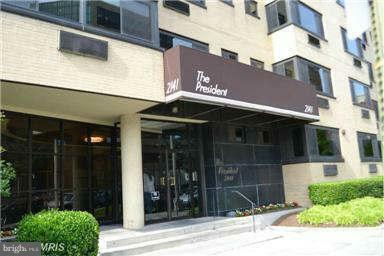 1BD+Den located on GWU campus. One block to METRO & Whole Foods. Minutes to State Dept. World Bank & IMF. Contact agent re: rent roll. 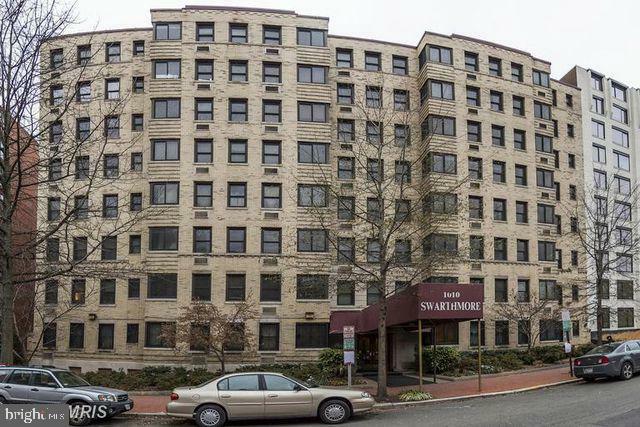 Bright and spacious higher floor 1 bed/1 bath condo at Swarthmore in the heart of Foggy Bottom. This unit features large windows, freshly painted and shelves in the kitchen. 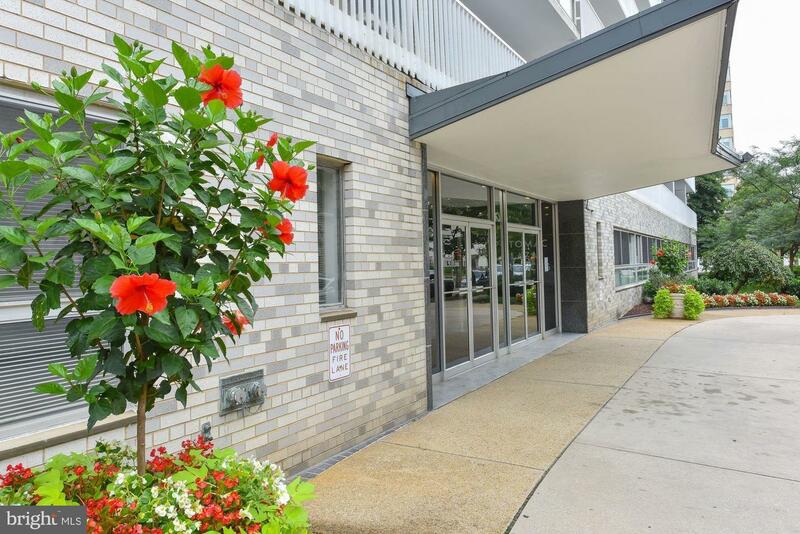 Building includes Roof top Deck, fitness center and laundry facilities. 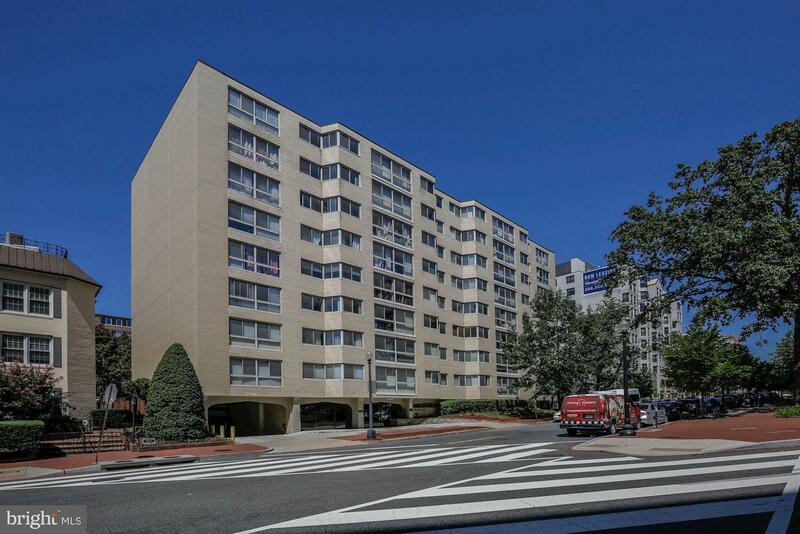 Enjoy convenience to Trader Joe's across the street, GWU, GW hospital, Foggy Bottom metro, restaurants, shops and Georgetown waterfront. 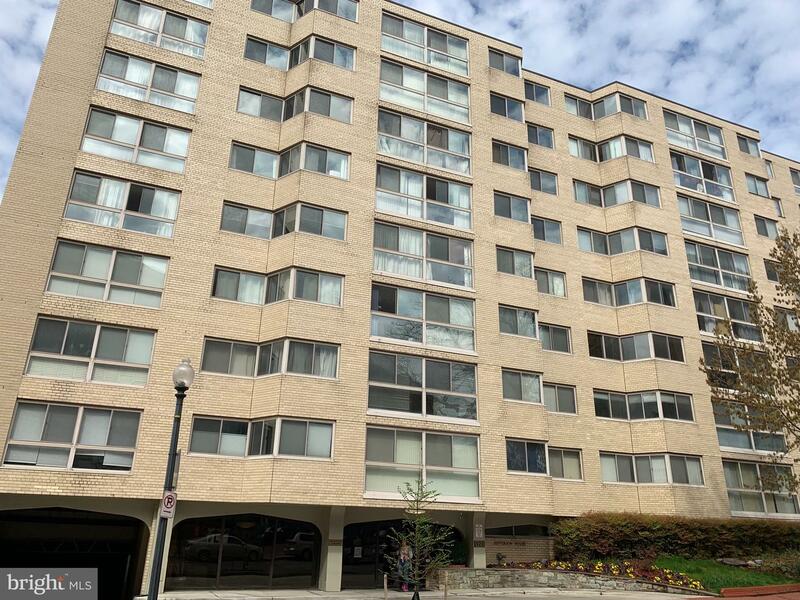 Blocks to the Foggy Bottom/GWU Metro, this 1 bedroom, 1 bath unit features an updated kitchen, hardwood floors, tons of natural light, & a private balcony! The kitchen offers granite counters, tile flooring, a gas range & convection oven cooking. The master bedroom is an ideal retreat with a large walk-in closet and additional storage closet. 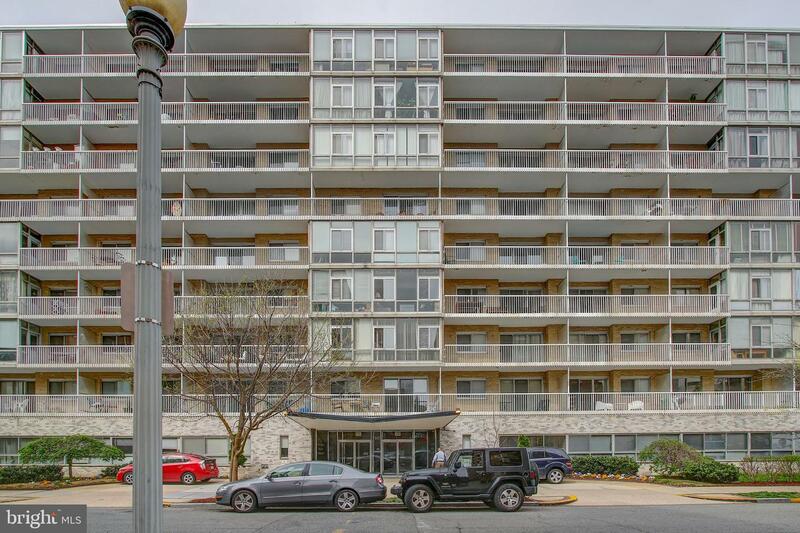 Close to many shopping & dining options, Whole Foods, GWU, C&O Canal & 66! Co-op Fee includes all utilities and property taxes! Bonus: Stunning roof deck views, 24 hour concierge and security, and ample night/weekend guest parking! Beautiful space in the heart of Foggy Bottom. Former one bedroom unit converted into a two bedroom. Open kitchen, new refrigerator, new dish washer, and wood parquet floors throughout. Building boasts a gym, outdoor patio, laundry facilities on every level, and a roof-top pool. Coop fee covers all utilities and property taxes.